Great Care, Delivered. For happy, healthy birds. Avian veterinarians, like pet-bird owners, know that our feathered friends rank near the top of the list when it comes to animal intelligence. 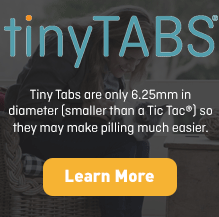 So it’s no wonder that these bright and beautiful creatures are difficult to medicate with bulky, bitter preparations. While a well-placed dab of peanut butter or chunk of bacon might fool a dog into downing a bitter pill, the birds in your care aren’t always so compliant. Bird owners who seek veterinary care are a special breed of pet owner. So it’s no surprise to bird lovers that “How to Medicate a Bird” videos are popular Internet destinations. While responsible pet-bird owners may want their charges to take medications that are prescribed, actually medicating a bird presents unique challenges. Compliance, of course, is tied directly to birds’ health. 72% of pet owners would like to receive information in writing about their pets’ medication so they could refer back to it. Two factors can conspire against obtaining prompt medical attention for a sick bird. First, typical bird owners tend to seek medical care for birds (if they do at all) when they recognize the bird is sick. Second, since birds do a good job of masking the signs of disease, many avian veterinarians see birds who are very ill. Since birds exhibit many of the same symptoms for different underlying illnesses, time is of the essence in diagnosis and treatment. 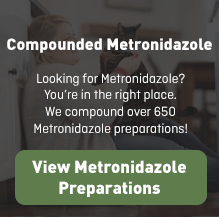 When you turn to us for a custom-compounded medication to treat a bird in your care, we know that time of the essence to you, your client and your patient. 90% of the prescription of orders ship within one business day. You can turn to us for an array or compounded medications used in avian veterinary practice, in concentrated suspensions and solutions, in bird-friendly flavors like grape, orange, piña colada, raspberry, and tutti-frutti, and compounded medications to meet your exact specifications. online learning center, where you’ll find scores of professional monographs. Turn to Wedgewood Pharmacy to help maintain the health of the birds in your care. 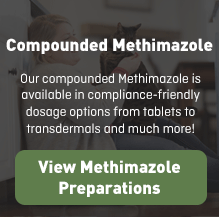 Asthe nation's largest animal-health compounding pharmacy, our specialized compounding pharmacists have helped to solve unique medication problems for avian-medicine practitioners since 1981. Serving more than 40,000 prescribers, we have the experience and resources to help you to solve many complex medication-compliance issues. If you do not find the specific compounded medication, dosage form and/or flavor that meets your needs, please call our Customer Care Specialists at 800-331-8272. To learn more about caring for birds, you may find these resources to be helpful.